I always tell my athletes, "Eat your push ups & pull ups for breakfast!" You MUST be GREAT at these 2 exercises, they are the foundation for upper body strength and power and work wonders for muscle building. I recently got a copy of The Convict Conditioning Push Up Series Course and the FIRST thing that struck me was all the coaching techniques, regressions and progressions. I am ALWAYS shocked when I have athletes at my gym who trained elsewhere and they are NOT performing the push up properly, NOT 1 good rep. This shows me that athletes are skipping or not being coached through a foundational period of training which should consist of calisthenics, bands, med balls, sleds and all around physical culture. How can a high school athlete be unable to perform ONE perfect push up? I want to challenge all Physical Education Teachers and Coaches to build stronger athletes, starting at the younger years. 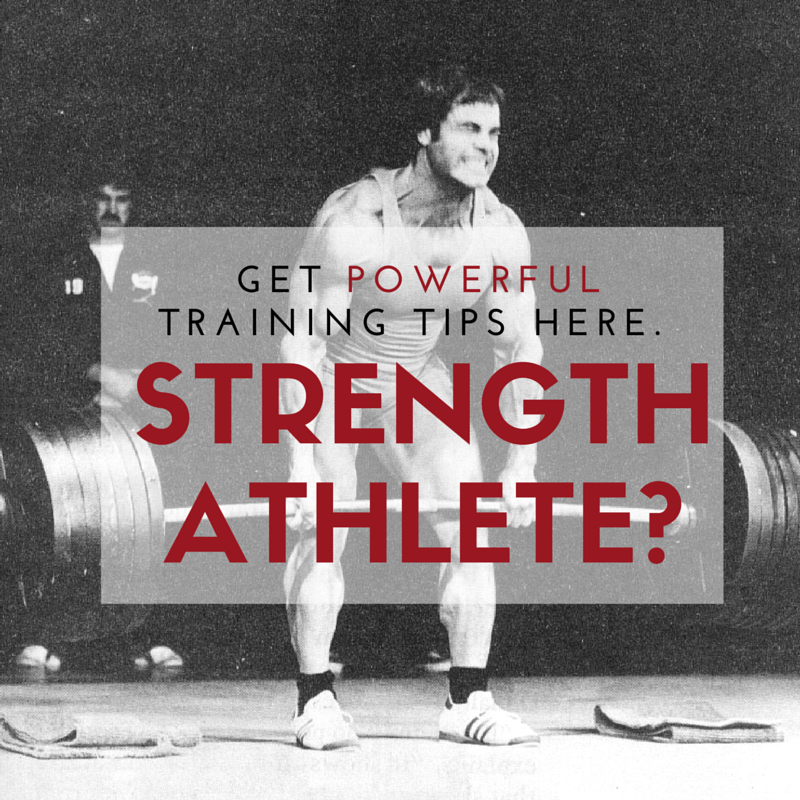 To get faster, you need to gain strength. To develop more strength, you need more speed. The foundation, however, is greater strength and improved movement. Don't complicate what is already simple. Teachers, Coaches, Parents - Calisthenics need to be a part of everyone's daily routine. Here is the video I promised you of our wrestler who is now a college freshman and playing Rugby in a Men's league. His workouts are strictly bodyweight training plus ONE Kettlebell while he lives on college campus! Time to give bodyweight training the respect it deserves. Plain and Simple.... NOT easy. Get The Complete Convict Conditioning Workout HERE. Get The Bodyweight Bodybuilding System HERE. As always, Strength is a Choice, Success is a Choice. Do the work and be consistent. Eventually you need to stop talking about it and start BEING ABOUT IT. STRONG Mind, STRONG Body, STRONG LIFE. If you can’t move your own body properly you have no business picking up heavy weights. I spend most of my day correcting push ups. This is for kids and adults. It’s hard to believe that the push up is looked at as an exercise that doesn’t have to be done correctly. I don’t look at them as such but youth coaches and trainers must because so many are done incorrectly. Craziness. People just need to take a little time and learn and then take more time and teach. Thanks for the post. commitment, baby!!! all day, every day, practice them! A few summers ago I worked with a kid that was going into his sophmore year at college, and was told to get his bench up. He was benching 205# for two, and was not able to hit the 225#. Why a quarterback needs to worry about that I have no clue, and will save the rant! I had a month and a half to get him there. He did push ups every time I met with him, and worked static bench for time (I lifted off, and he had to hold for time). I wanted to get his body use to the feel of the weight, but used the push ups as the main exercise. One set of arm curls-5 push ups. Every exercise. He went back to school and benched 225# for 3 reps. The coach asked him what he did to get it up, “A lot of push ups.” Coach didn’t believe him. The better they get at push up variations the better they can control and stay TIGHT on the bench. It teaches the body full body tension…..
Push ups, weighted push ups, med ball push ups, ring push ups…. these get the bench UP! Been preaching convict stuff to my athlete’s for a while now. Great stuff. Some are not dedicated enough to do it. But if it were easy every one would do it! Mike, true, brutha! I tell them to crank them on “off days” as well. I’m from the military. So for upper body strength, all I know is pushups and pull ups and I think I turned out just fine. I squat and Deadlift for lower body strength. I stopped bench pressing because I no longer see the point as far as practical and functional strength goes. But whatever floats your boat, as long as you’re strong and conditioned. True, I LOVE the bench, but long term and functionality and ability to do them anywhere the endless push up variations get my nod of approval! Famous hs fb coach Ed Henry had everyene terrorized by being the only one with Nautilus machines–film study was really his advantage. Marshall HS, Falls Church, VA, middle-linebacker and def capt kept looking at my arms while I was stealing his gf, and he never jumped me. He got the girl(diff hs), but I worked in a masonry biz with her bro, years later, carrying four 12″ block to work on my pinch grip. All I had was free weights and pushups and pullups, and pinching cinderblocks, but now we know. There was a snowplow driver, Steve Schneider, doing pinch levers on rafters, progressed from pinch pullups, progressed from one pinch at a time, progressed from towel and rope. Then I met Greg Lowe and he showed me fingertip pullups above doors, on the trim edge, five sets a day, and pushup variations, ring muscle-ups, and dip equivalents. Progress from dip through pushup angles to handstand pushup, and on the back side the bridging, according to Paul Wade–if we don’t use it it’s not going to be there when needed. The reason Con Conditioning works is that it’s kalisthenes, and progressive calisthenics was only done with thoroughness as a lost art, as you know, preserved in prisons. 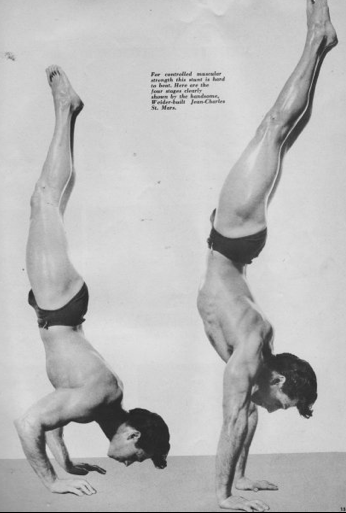 On the outside, the supplements money lured people away and did not pay for “progressive calisthenics(THE PC TERM! )”, while in prison the skinny new guy was not going to get any time with any barbells, so he went to his cell and did progressive calisthenics. Variations are also motivating and fun as well as progression methods. “Motivating”, you know, testing and showing off a little by pulling up on a towel or a pinch. 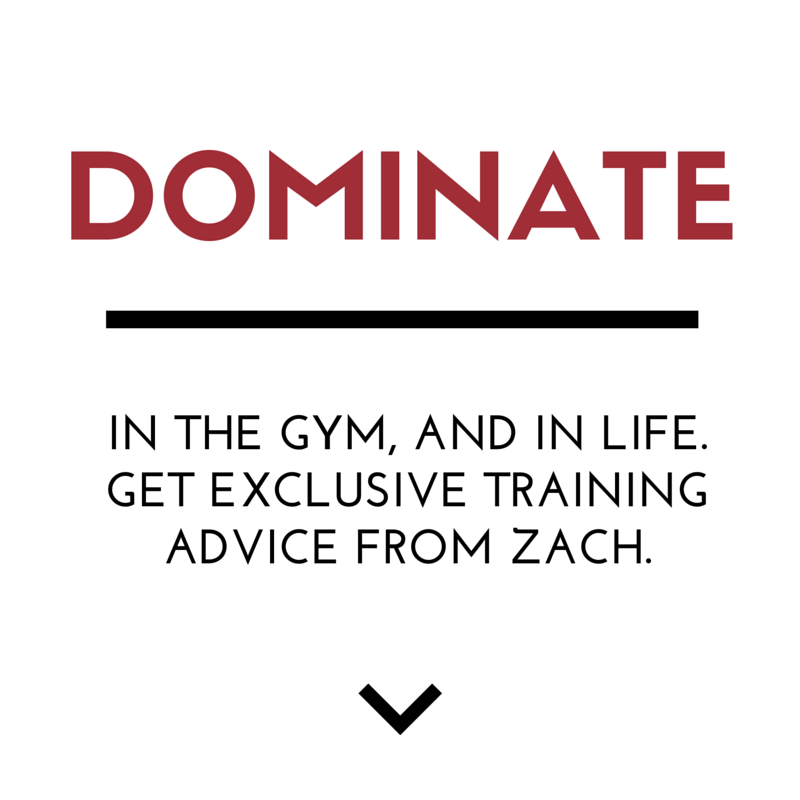 Competition and aggression, not being a machine on a machine. Machine age has its own financial pollution like supplements drove calis into prisons/monastery–bigger box for machines so biz owner goes under debt deeper–vs one man one cell-equivalent-space is not going to fold in a year when the huge loan runs out though it was collateralized to upsize by machines instead of investing in people. they will learn… I HOPE! Dustin W, there was a hs qb here doing all horizontal push, 225 bench, no pull, plus working extra with his best receiver after practice. RC impingement, blood clot, qb almost died, team fell from state championship level to out in first round(other team-wrecking details left out for simplicity but they were training-related, too). Pullups, deads, rows, dead variations, beside the face pulls with a few pounds while in a goal post arm position and bending over at the waist(OR, cables to beside the ears, but we don’t got cables). I used Hartmann-Cressey-Robertson vid, and for pitchers I had previously heard of balancing from Tom House(“Jobe light”), and then Zach here heard a lot about balancing from Alwyn Cosgrove. My bench had stalled for a long time, even while doing 5/3/1 a year ago or so. This past November or so I started adding pushups to about every workout and now suddenly my bench is coming up slowly and my chest feels bigger. I was actually kind of suprised that pushups had that much effect on my bench. Now I just need to get to working on variations instead of just traditional pushups. I think that will take it to another level. When I got serious about body weight training I was humbled by how much I had to improve my push ups. I always thought they were decent enough but your coaching and CC made me see otherwise. It’s been 2 years and I’m still learning how to improve my push ups. The more I learn the stronger I get. I can’t wait to see where I’m at a few years from now. True. I have a day for training that is specifically devoted to pullups, one arm pushups, one leg squats variation ( unable to do pistols still) etc. On the other days another variety of body weight exercises. One day for weights. It amazes me how many people can’t do chin-up’s, pull-ups, and basic pushups. You would think it would be mandatory to be able to do 20 pushups and at least 12-15 chin-ups or pull-ups period. Very scary that this is what the nation has come to. The set up is weight day-Bench,Squat,Deadlift (conventional overhand), Clean and press. Singles on Squat and deadlift three reps with a good heavy weight on bench and three or four sets of doubles on clean and press, weighted sit ups on board. Day two- Overhand chin-ups three to four sets of twelve, one arm pushups- same, one leg squat 50 total per leg, third day- hanging leg raises three four sets of twelve, side planks, clean and push press for some singles, wrestler bridge hold, frontal wrestlers bridge 15-20 reps. Two days roughly in between each strength bearing day cardio- three hours or so of walking with some jogging mixed in-(left knee issue). I like the program personally but at the same time its something I am still trying but results seem good so far. Thanks for the Help on everything Zach. I bonked 50 this year and believe me, as you get older the body-weight stuff really helps a LOT with mobile strength and injury prevention and re-hab of old injuries. I love to lift dang near anything, but always do body-weight stuff. If you don’t want this posted in your comment site, hey that’s cool. But could you look at it and give me your thoughts on it? I have no problem if you want to share it with others. hey bro!!! I would love to see a video on those stretches and movements!! I already commented on the Facebook page but I gotta comment again! I have a sick love affair with push-ups. Nothing ever powered my bench like when I started seriously training pushups. Like Zach says people don’t give them respect and just piss around and do them incorrectly. If you want to see a man humbled, teach him how to do a proper pushup. All of my athletes have to master the pushup. No excuses. Anyways guys let’s all keep killin it!! Shine and Grind!!! I hated body weight stuff for the longest time because all I wanted was to get BIG! Thank God a couple years ago I fell on an article just like this that preached the power of body weight training. One of the best ways to build a beast foundation is through these exact exercises! Great post Z!